Recently, I was walking around the streets of Chiang Mai, and I realized I hadn’t read a science-fiction novel in ages. I am a big science-fiction fan, and I love to write science-fiction, but its been a while since I picked one up. So I dropped by one of the many well-stocked used book stores in the old city of Chiang Mai, and picked up a few (8!) science fiction novels. These were really old ones from the early 90s or 2000s. One of them, called ‘The Dark Fields’ by Alan Glynn was about this smart pill that gives you the mental acuity and the sharpness to be able to read hundreds of pages in a few hours, the joy and focus to clean up your entire life, and study a new language in a day or two, and more. It makes you healthier, happier, more accomplished, successful, well-liked, and focused. I mean, everything all of us want, right? As I was reading the books, and reading all of the ‘symptoms’ of taking the smart drug (MDT-48 was the name), I realized something surreal. I believe all of the the qualities that we want, the ideal characteristics that we crave, the focus, drive, and motivation that we hunger for, these are all possible with flow. If you have been reading any of my blog posts, you know that I am a major proponent of meditation as one of those magical elixirs. Meditation can bring all of those desired qualities and characteristics into our lives, but it does take a concerted, persistent, long-term effort to get there. Flow is one of those magical elixirs that doesn’t require a lot of time or effort. It is almost instantaneous, and once you know how to place yourself into flow, you can get into it without much preamble. Flow is defined as follows by Wikipedia. Doesn’t this sound exactly like something you would want to be ‘on’? And all without the use of any smart drugs, which might have some random side-effects that could change your personality, or your brain chemistry for the worse. That’s why Flow matters so much to me, and to so many others in the creative and entrepreneurship fields right now. It helps us become more of who we are, without compromising our self through chemicals, drugs, or other invasive procedures. How Do You Get Into Flow? I am not going to get into this too much in this post, as there are already many articles and books on this subject. One of them that I like is ‘The Rise Of Superman‘ by Steven Kotler. I’ll just share quickly my own journey and experience with flow in this post, so that hopefully I can convince you to research and find your own unique ways to get into flow and be more productive and live up to your highest potential. I have discovered my own way of going into flow over the last few years. And it has been a process, as I have wanted to keep things simple, and repeatable. I wanted to find ways to get into flow that didn’t require drugs, or daring feats. I wanted something I could do in the comfort of my own home. Thus, I ended up with meditation, creativity, and community as the source of all of that flow. I have written articles on this previously, about how Chiang Mai has helped me a lot in finding flow, and how else I find flow on a daily basis. I have been meditating regularly now for about 6 years, and that has helped me immensely with staying in the moment, which is a cornerstone of flow. Not only that, but for me being creative, writing, creating videos, and other creative endeavours really helps with getting into flow. Finally, community, finding my peeps, the ones who are like me, who get me, who understand my oddities, and accept me for who I am, has been crucial in helping get into flow faster and better. As I said in the title, I have been noticing an absolute difference in the way I live my life now, from when I was younger, and not in Flow at all. I had a really hard time getting into flow when I was younger, because it’s one of those things, that needs excitement, joy, passion, and happiness. Or at least that’s my experience of it. When I am feeling down for any reason at all, it becomes almost impossible for me to get into Flow. As if I am fighting an uphill battle, a battle that I cannot win no matter what. But the happier I am, the more flow I have in my life, the more happiness I am able to bring into my life as a result. A self-perpetuating cycle if I ever saw one. I have noticed for myself that this experience of everyday Flow has changed my life to everyday miracles. I am in synchronicity all the time. I notice miracles all around, small ones and big ones. And I am in absolute awe of everything that I am surrounded by. People always stop me and say that I radiate happiness. That’s because it’s true. I am joy from the inside out. But that’s because I am in flow all of my life, or at least as much as possible in my life. Everything I am doing has been transformed by it. So much so that even mundane activities like showering, or brushing my teeth, have become a sort of game. A fun thing to do. Nothing is boring. Everything is exciting. Even the typically mundane stuff has been raised to a higher bar. The great thing about Flow is that it brings everything up. The mundane becomes more exciting. And the exciting becomes as exciting as it is supposed to be. As I noticed myself changing, I realized that most people fluctuate between being unhappy and being neutral. They never really go up to a high level of joy and ecstasy. In fact, most people are truly hating their lives and every moment of their living existence a majority of the time (if not all the time). Which really irks me, but fascinates me as well. It’s quite funny, because I get asked this question a lot – How are you so happy all the time? To which, I answer, in a tongue-in-cheek manner, that I am not happy all the time. But I do spend a lot of my days in a state of absolute flow and ecstasy. Rather than down in dumps like a lot of other people. That’s why Flow is so important. Because it makes the mundane exciting. But also, because it makes the exciting so much more exciting. It’s as if you are functioning at a higher level than everyone else around you. They can’t even reach to where you are, because you are so high up above them. If someone even tried to work at the level I work at, it would be hard for them, not only physically because it takes so much energy, but mentally, because it takes so much focus. Both of which I am able to manage because I am in a state of absolute flow. One of the last important things about flow is that flow changes all of those in-between moments as well. Of course, you will feel better about something as boring as waiting in line or posting a letter. And of course, you will feel great about going to the concert you’ve been waiting for, and meeting the love of your life. But all of those in-between moments get enhanced rapidly as well. They are not just moments that we skip over to get to the next important moment. But we are actually able to stay in each moment, because every moment matters to us as much as the other. That’s where I want all of us to get to. It’s an important thing. I feel like we are spending way too much as human beings waiting for something awesome to happen. And something exciting to happen. But when you are in Flow, you are always in Flow. You are always in that moment where everything awesome that should be happening is happening in every moment. There’s no reason to run away from moments, even if they are traditionally considered boring, because there are no more boring moments. I spend every day and every moment in a state of ecstasy and of course, it can seem really annoying to people. The thing I have noticed about Flow is that I find it easy to get into Flow once I have been doing it for a while. Which is pretty similar to a meditation practice. 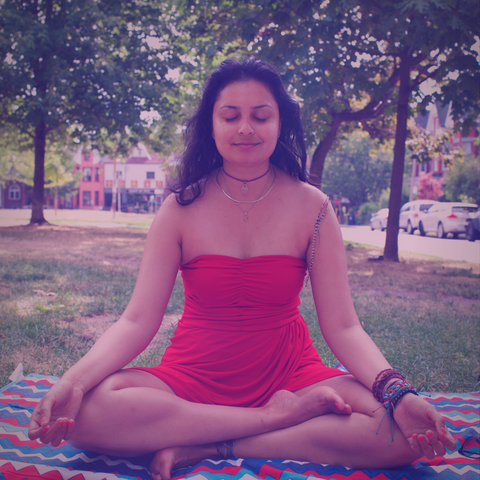 It will be easy for you to get into a meditation practice, and into that meditative state, once you are able to get into it once, it always gets it easier. Same thing with Flow. Once you are able to get into Flow once or twice or ten times, once you get into the habit of it, once you are able to feel it out and understand how to get into it easier, you will find it easier to get into Flow in general. And once that happens, you can drop into a state of Flow at a metaphorical drop of a hat. Which is really nice, for those moments, when everyone is against you, the world is trying to pull you down, people are wittering at you trying to bring you down to their level or lower. It’s so important because a lot of days I will wake up and I am high as a kite. But then something happens around me that puts me in a negative state of mind. Or, brings me down to Earth. In those moments, I have been using the act of Flow to bring me back to that high as a kite state. It’s really important to me, to stay in that high state of vibration. Because that is when I create the best work. I do a lot of creative work every single day as you guys might or might not know. It isn’t easy to just whip up a 2300 word blog post in an instant. It takes a lot of internal work and drive. I wouldn’t have been able to do it before. As I was not in Flow and I didn’t know how to bring myself into Flow at a moment’s notice. But now, I have noticed a major difference in the way I produce creative work. Not only is it much easier for me to create a piece of writing, or a YouTube video. But it is also much easier for me to be that person who is able to put stuff out there, even if there is rejection, criticism and/or failure involved. I don’t care, because I am doing it for the thrill and creativity of it. I’m not doing it for the accolades. I get enough of that joy from the production process, and from being in the state of Flow. That’s again what I want for all of you. I want you to be in a state of Flow, so you can spend all of your life in a state of creative joy. There’s so much that we can bring to the table of Life, but only if we are open to it. That matters. It really does. Most of us want to be creative, but we are unable to be creative, because we have put so many censors and barriers upon ourselves, and upon our creative side. We are always telling ourselves, no, you can’t do this, no you can’t do that. It’s always a resounding No, rather than an affirming Yes. Finally, and this is one of the most important qualities of Flow, is that I feel so alive when I am in a state of Flow. I feel vital, healthy, and alive like I have never felt before. I feel good about every aspect of everything that I am on this planet to do, and I feel exuberant and excited to be part of everything. Who wouldn’t more of this in their life? I wanted to write this post, because this is not a joke. Hundreds of people on this planet live in a state of Flow and they are able to do it because they have found the key that works for them. And they spent much time searching for that key just like I did. I want you to do the same. It is absolutely worth the time you would spend on searching for this important key. From all that you have read above, I can tell you that all of this Flow business isn’t just a pipe-dream. Available only to a few. It is available to everyone who puts in the effort to find out how it would work for them. As I said, every person gets into Flow in a different manner, with a different set of keys. I want you to find your key and get into Flow as often as possible to live the most vital and alive life possible. For you.